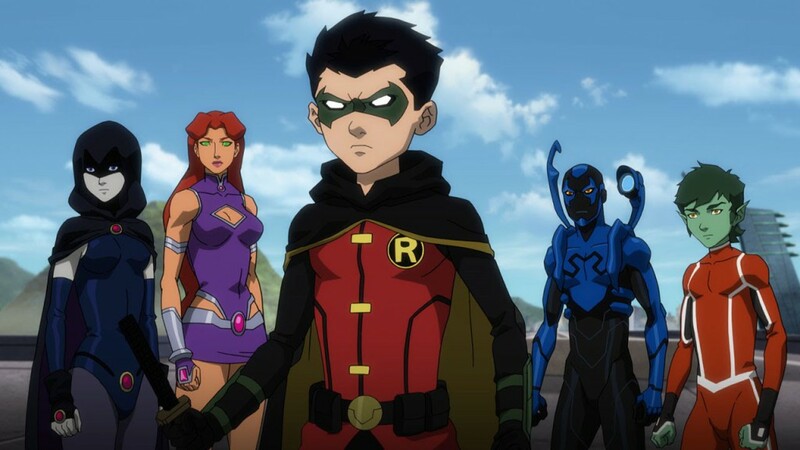 Even though the Teen Titans have always been a big part of the DC universe, they haven’t been getting their deserved share of attention in the latest DC animated movies. 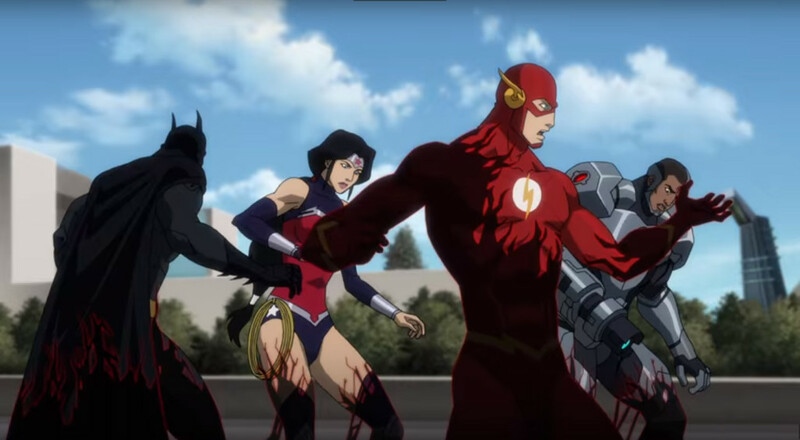 Luckily, the group of teenage heroes are finally getting their moment to shine when facing a threat that even the Justice League can’t handle themselves. Nonetheless, as always this story will also revolve around some deeper lessons such as camaraderie, friendship and working together as one team, even when things are often easier when going solo. Justice League vs. Teen Titans might sound like they will have to take up arms against one another, while in reality they’ll have to learn how to work together if they wish to overcome the foe that lurks in the shadows. Damian (Stuart Allen), the not so new Robin, has been accompanying the Justice League on their many battles but is often forced to watch from the sidelines, making sure the surrounding innocent bystanders are escorted to safety. Of course, with his stubborn personality he feels like he is being belittled and wants to show the ‘big guys’ how it’s done. When directly disobeying an order from his father, Batman (Jason O’Mara), it’s time that he learns how to properly function in a team, without wanting to do things all by himself and hog the glory to prove he is ‘the best’. 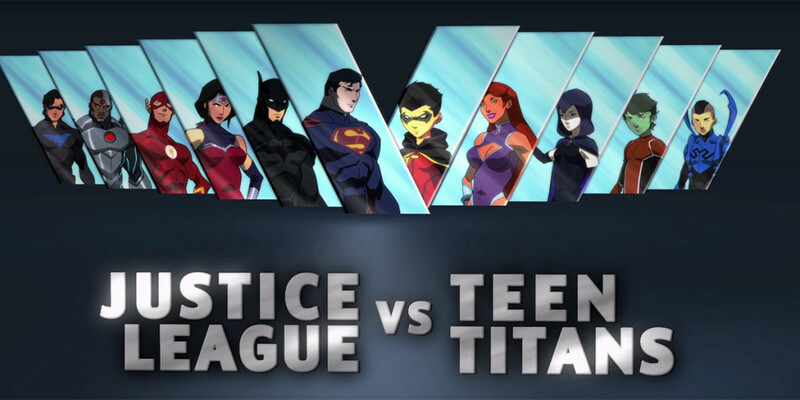 When Nightwing (Sean Maher) drops him off at the young variant of the Justice League, the Teen Titans, Damian is still trying to prove that he doesn’t need allies in order to get the job done. After an initial struggle with Jaime Reyes (Jake T. Austin) a.k.a. the Blue Beetle, a boy who merged with an alien symbiont, Damian escapes with his life hanging on a thin thread. Luckily the very distant and mysterious Raven (Taissa Farmiga) swoops in to save the day, and of course Damian’s life. Seeing her healing powers force her to dive into the mind of the victim, they both share feelings and memories, making the following conversations rather awkward. Soon after, the leader of the young pack Starfire (Kari Wahlgren) decides to let the adolescent Titans bond in another way, namely by having some good old fashioned fun. While initially it seems like Damian is not in the mood for ‘fun’, he slowly opens up and even engages in a dance battle with Beast Boy (Brandon Soo Hoo), the last member of the Teen Titans. Nonetheless, even when it’s clear that Raven and Damien are slowly getting closer to one another, the party gets trashed when Raven’s father, Trigon’s (Jon Bernthal) emissaries appear out of thin air. It seems Raven’s past is even shadier than one could have imagined, as her father is practically Satan himself. Nonetheless, he was trapped by Raven inside a crystal, but it seems he has broken free and is slowly gaining enough power to head to Earth and destroy the world as we know it. While the Teen Titans are showing signs of true camaraderie to protect one of their own, it seems, when the Justice League figures things out, they wish to do things on their own, and tell the kids to stand by and let them take care of Raven. Of course, things don’t always go as one would like.. Overall, seeing the movie only spans around 73 minutes, the pace is rather fast, at least when the action kicks in. It seems the creators went out of their way to properly portray both Damian’s and Raven’s persona, allowing them to gradually evolve right before things truly go down. That being said, the pace is very pleasant, making sure there is not a single dull moment to be found throughout the film. 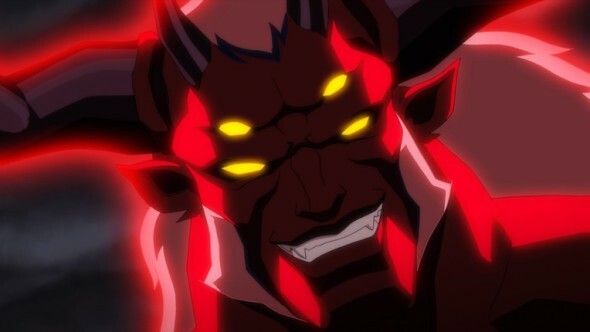 Acting performances, as always with the DC animated movies, are simply superb. The director made sure that most cast members are veterans from the previous movies, while the ‘new’ characters get a proper voice actor assigned to them, keeping up the qualitative feel of the series. Taissa Farmiga, most known from American Horror Story is a very interesting pick for Raven, and truth be told she does a stellar job in portraying the gloomy young demon’s child. As far as extra features on this DVD release go, there is only one to be found, namely a ten minute teaser to the upcoming movie that is based on the very dubious ‘The Killing Joke’. All while being presented with a bit of footage from the soon-to-be-released movie, you’ll also get some background on the origin of the tale, which is actually very interesting. Justice League vs. Teen Titans is a great addition to the ever-growing collection of DC animated movies. While friendship and teamwork might take the foreground in this short flick, action lurks around every corner and to some, Damian might finally become a bit more likeable from now on. Fans of both Justice League and the Teen Titans will find their pick from the super-heroic litter.